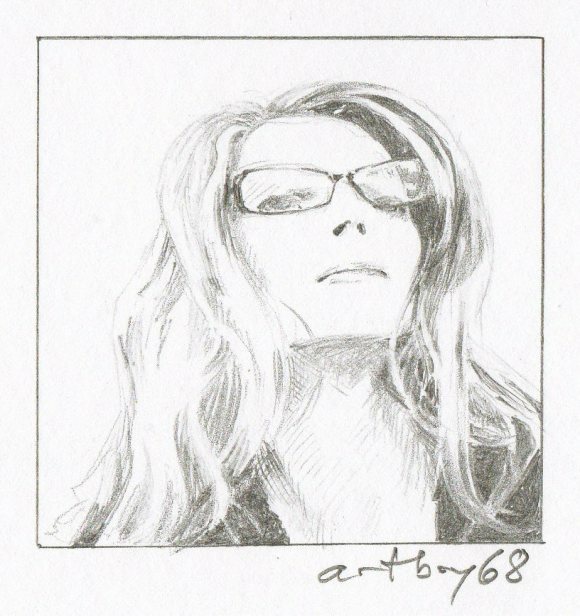 Anyway, The very talented artboy68 sent me an email today telling me that I am number 39 of his 100 Portraits Project! I am honoured to be literally drawn into this project. Thank you so much Scott! You can see his post with the drawing of me here. He’s drawing 100 portraits is 20 weeks! You should definitely check out his blog. Nice drawing…must head over there for a look.. Very cool. I’ve entered now too. Oh good! It’s a great project isn’t it? Thanks Karen! I’m glad you like it!